Young Balinese surfer joined the Quiksilver Young Guns and, with not much surprise (to us), Rio win it. Multitalented surfer, Rio Waida, now 16, reach the top of the podium with other eight international finalists (Marco Mignot, Sandon Whittaker, Cody Young, Malakai Martinez, Kyuss King, Samuel Pupo, Kael Walsh and Barron Mamiya), some of them already well known to us. This was a galactic achievement for Rio and for Indonesian surfing. Surftotal - we know you have Japanese roots, can you tell us your story? how you became "a Balinese" and why you start surfing so young? Rio Waida - • my dad is from Java but living in Bali, and when I still young me and my dad went to the beach like all day, so that's why I started surfing so young. 3 years ago we made you a video interview in padma beach. In that time you still not so sure about your goals in surfing... nowadays what have changed? your main goals? • yeah my goals right now is to win QS, ASC events and to qualify to CT.
• I don't really know about that, but Padma have the best beach break in Bali, there have so many banks and always fun waves. Now about Bali, about Bali intense crowds inside and outside the water, you already used to it? Ouside the water how do you analise Bali development? what would you change? • yeah Bali always gets crowded but I don't really care about it... If I can I want change about rubbish because earlier year always so rubbish on the beach, so if can I want to everyone to stop to littering. Inside the water, do you agree that the indonesian local surfers shall keep some authority in the surf spots? how do you face the crowds inside the water? • I don't really care with the crowds, for just go out there and catch the waves from deeper than anybody. "I don't really care with the crowds,...just go out there and catch the waves from deeper than anybody"
About quiksilver, tell us about the importance that this main sponsor of yours have been important for your surf and person development? 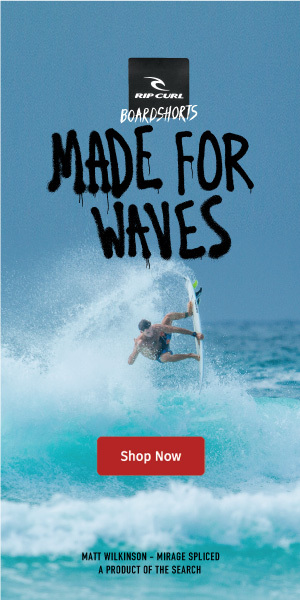 • Yeah quiksilver always support me, and stoked to be in quiksilver family. And I'm always thankful to them. let us know about your quiver? • My quiver Luke Studer surfboard, 5'5 , round pin tail. • Barrel, because when comes out from barrel can make best feeling in the world. Is there any surfer that inspires you? 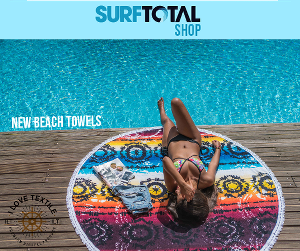 • thanks surf total and my family and all my sponsors.